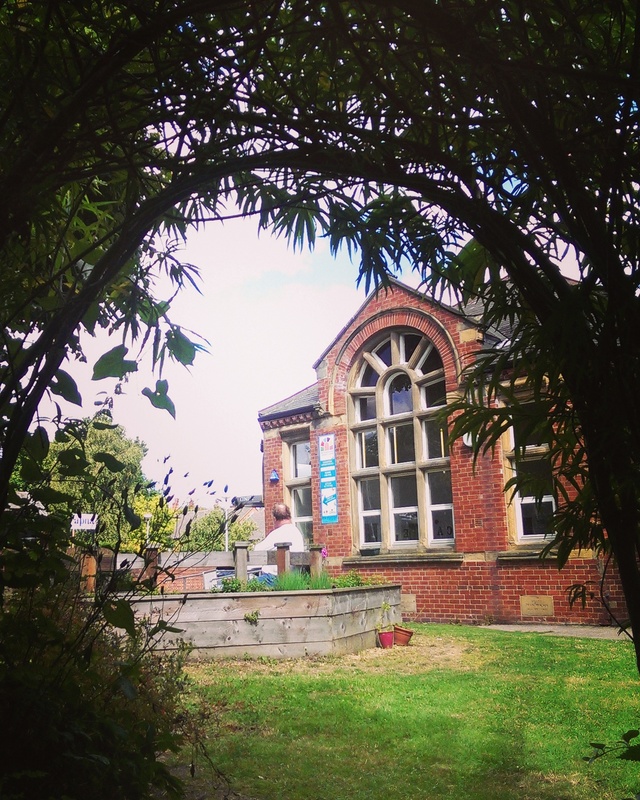 Our beautiful red brick Victorian building is close to the city centre and local public transport links. We have a number of rooms available to hire for meetings, conferences, weekly classes, birthday parties and more. Photos and further details on rooms available for hire can be found below. For additional photos, FAQs and more, check out our Room Hire Brochure. By booking with us you are supporting our aim to create empowered, connected communities, where people work together to tackle the problems they face. 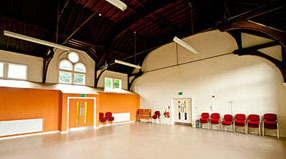 Woodhouse Community Centre offers a range of rooms for hire of varying sizes, suitable for many different activities and events near Leeds city centre. Flexible furniture throughout the building makes it possible to arrange each room hire to suit users' needs.There is free WiFi throughout, secure bike storage, thermostats in every room, baby changing facilities, a prayer room and outside space. The building entrance is fully accessible from the street, and all first floor rooms are accessible by lift, with disabled-accessible toilets on the ground floor. On-street parking is available, with our neighbours car park free to use out of office hours. We can provide served refreshments and offer a bring your own option free of charge. We have a range of equipment available to hire, including; projectors and screen, TV and DVD player, wireless microphones, PA system, display boards, flipcharts and tableware. A large open space for speeches, parties, conferences. 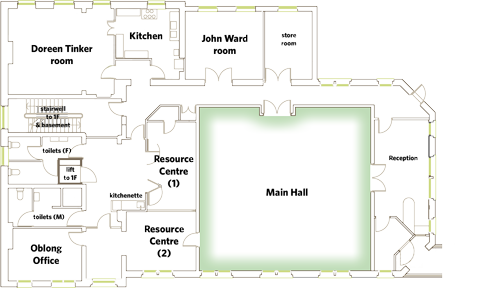 The largest space in the building, the Main Hall is bright and airy with high Victorian ceilings and attractive period windows. It is a truly multi-functional space which is suitable for fitness classes, performances, market stalls, conferencing, family events and parties, or whatever you can think of. 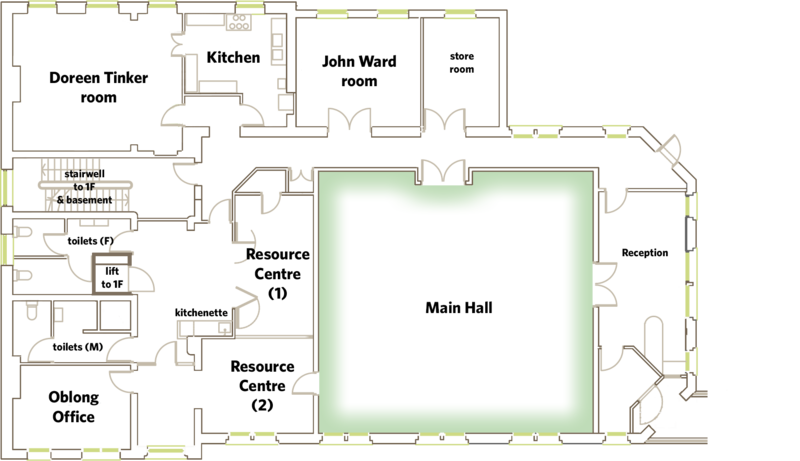 The Main Hall is square-shaped and opens off the main reception area on the ground floor, with a second exit into the corridor for easy access to the kitchen and toilets as well as other meeting rooms. Access to the adjoining IT suite is possible if needed. The Hall also has a large white wall, perfect for projection. Reduced rates apply to non-profit making groups running for community benefit and open to all. This excludes political parties, religious groups and statutory organisations. Standard rates apply to all other groups and individuals. Please note that weekend bookings are also subject to a £5 per booker per hour charge to help cover the cost of an out of hours receptionist. * Special offers are subject to availability. Normal Terms and Conditions apply. Offer limited to first 100 customers. Limited time only.